Samsung's future high end phablet lineup is drawing more attention by the day and a few extra details have now surfaced on the Galaxy Note 5. Along with that, we're also being treated to a few specs of the Galaxy S6 edge Plus, which appears to be the name Samsung has settled on for the edge-screened upmarket phablet. Starting with the Note 5, the source states that it will feature a 5.67-inch QHD Super AMOLED display, a bit of a departure from the 5.89 inches we were previously led to expect. 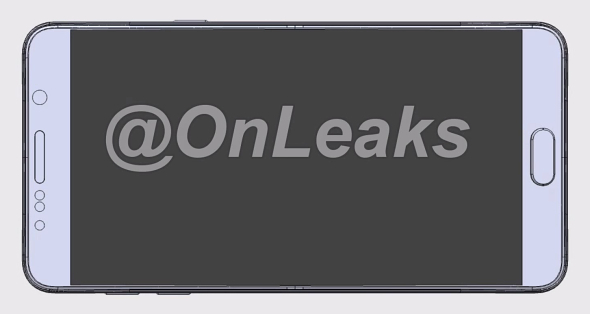 The smaller diagonal means a 70.6mm display width, and that somewhat clashes with the narrow bezels and overall 77.3mm width in the latest leaked renders, so something may be off here. Befitting its top shelf nature, the Note 5 will be powered by the in-house Exynos 7422 SoC, a reworked version of the already familiar 7420 inside the Galaxy S6, but with built-in cellular modems this time. 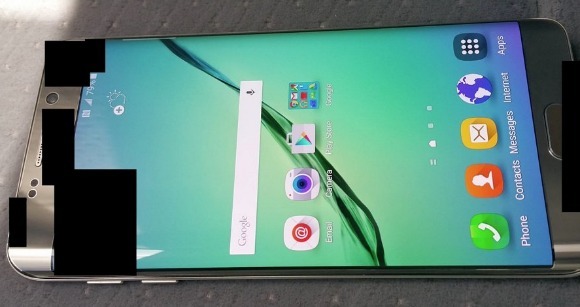 The Galaxy S6 edge Plus (we'll see how Samsung goes about the use of capital letters here) on the other hand will carry the signature dual-edge display curves on the same 5.7-inch diagonal. This one will come with a Snapdragon 808 SoC, which by the time of launch will likely be the manufacturer's third most powerful, behind the S820 and S810 models. We get a few more numbers for the S6 edge Plus, namely 32GB of storage, a 16MP primary camera with OIS and 2160p video recording (not that you would've guessed otherwise), as well as a 5MP front shooter. It has also been said to come with a 3,000mAh battery and Lollipop 5.1.1 upon launch. Both devices are tipped to have glass backs, Galaxy S6-style, so we'd have to wave goodbye to the user-replaceable battery, less of an issue on the Note 5 with its rumored 4,100mAh cell capacity. There's no word on the inclusion of a microSD slot, so there's still some hope on that front. The bottom line is the Samsung Galaxy Note 5 will be aimed at the power user with its top-of-the-line chipset and large battery capacity, while the Galaxy S6 edge Plus will cater to the vain and deliver a large-screen experience in a more stylish package. We're looking forward to the next batch of leaked live images, to see what part of this checks out. Why glass back? I have S6 which slips and every time my heart sinks as if I am throwing +$700 in the gutter. I think id like my edge plus with that of exynos? Not with qualcomm whats going on? Yeah i think the edge plus is a great way to get rid of the over hyped iphone..im an iphone user too but have met tons of issues with it , thebattery is just incredibly disappointing.